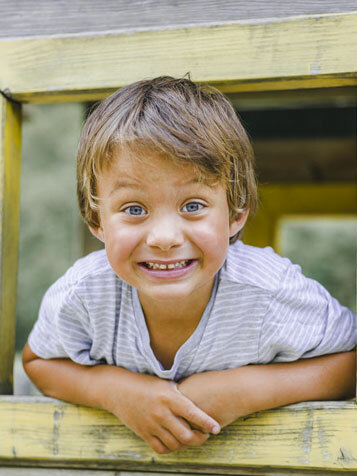 If your child’s primary tooth has extensive decay, or has been damaged by trauma, action may be needed to restore its integrity. After a set of X-rays are taken, Dr. Leila will be able to assess the extent of the infection and recommend one of two options: a pulpotomy or a pulpectomy. If the decay or trauma is confined to the crown of the tooth, a pulpotomy may be recommended. When a cavity gets really deep, close to the pulp of a tooth, or even into the pulp, the pulpal tissue becomes irritated and inflamed. A pulpotomy is when the inflamed pulp chamber is removed. The dentist will remove all the infected material in the pulp of the crown only, and leave the living tooth root intact. After a pulpotomy, the empty space will be filled with dental cement and a crown placed to restore the tooth. Dr. Leila will remove the pulp and nerve tissue from the crown and from the canals of the roots. Then the pulp chamber and root canals will be thoroughly cleaned and disinfected. Next, Dr. Leila will fill the tooth and tooth roots with a dental cement, and finish with a crown.